On Wednesday morning, the sports network ESPN announced that starting next year, it will be the new broadcaster of Formula 1 racing here in the US. It’s a return of sorts, as ESPN’s parent company ABC was the first US network to televise the sport back in 1962. ESPN said that it will air more than 125 hours of F1 in 2018, including all the on-track action at each of the 21 Grand Prix weekends—three practice sessions, qualifying, and the race itself. “ESPN has had a long commitment to motorsports, and Formula 1 is a crown jewel in the sport,” said Burke Magnus, ESPN’s vice president of programming and scheduling. According to the schedule released by the network (see image below), the overwhelming majority of races will be shown live on ESPN2. But the Monegasque, Canadian, and British Grands Prix are important enough to jump over to the main ESPN channel, and ABC will air both the US and Mexican races. (ABC will also rebroadcast the Monaco race immediately following the Indy 500.) 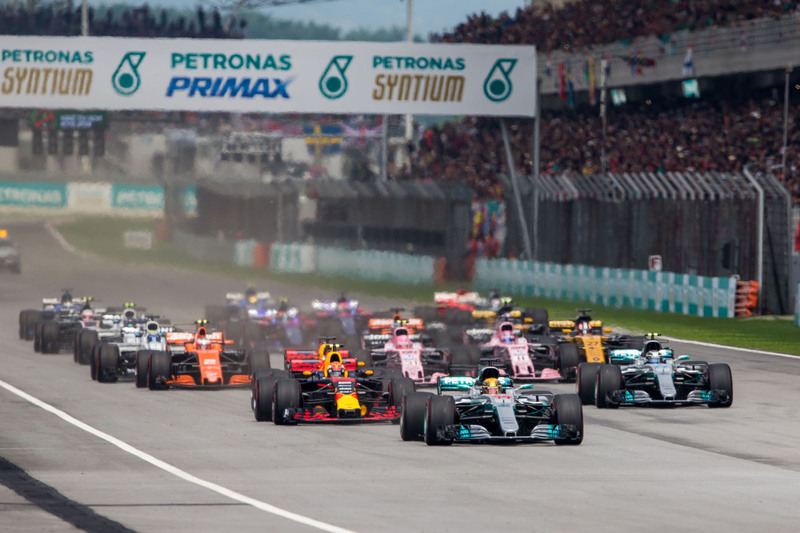 The channel hopping was to be expected, and US broadcast rights for the sport have usually insisted that several of the races be broadcast on free-to-air network TV rather than a cable channel. “This linear and digital partnership with ESPN represents a significant step forward in achieving Formula 1’s aim of broadening the sport’s appeal. The US market is very important growth opportunity for Formula 1, and we are looking forward to working with ESPN to ignite the growing fan interest,” said Sean Bratches, F1’s new head of commercial operations. Before he was hired by F1’s new owners, Bratches was head of sales and marketing at ESPN.